Happy Thanksgiving holidays to everyone from TLC! 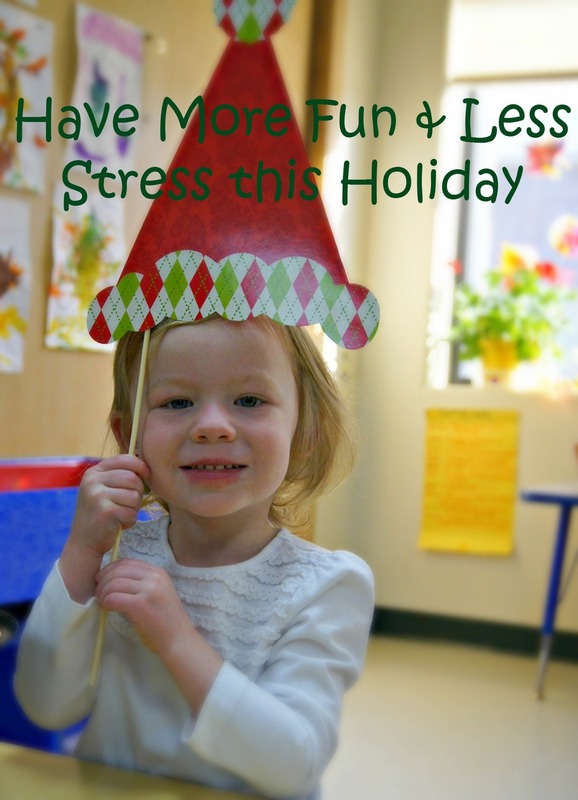 The TLC staff of teachers and therapists have pooled a few of their tips on how to have a happy, fun, and low-stress holiday break with your special kiddos. To help children adjust to the busy-ness and disruption from daily activities brought by the holidays, try to keep the daily schedule as normal as possible for children. Tell your child about the upcoming events so they have time to prepare for changes in their routine and schedules. With that, I think it’s important not to throw out ‘typical’ things just because it’s the holidays. For example, if it’s a routine for you to go to the library once a week or have a designated homework time, make sure to keep those designated activity times going. Priority lists are also great tools for making sure the most meaningful routines are taken care of, just in case you have to weed out a few activities and/or to-do's due to a time crunch. Help children prepare for unfamiliar faces and situations by creating a "family & friends" book full of family member names and information, or flip through a photo album that includes photos of relatives the child will see and remind them who each person is. Help kids stay in touch with far-away family throughout the year by helping the child exchange letters with the family they will see over the holidays. Teach children what to expect at holiday gatherings by practicing at home. For example, if the family meal will be a buffet and the child hasn't served themselves before, have a family buffet night at home before the event, and practice serving with special utensils and recognizing appropriate portion sizes. If a child is shy, help them initiate social interactions by letting them bring a toy, game, or other item they can show to family and explain the significance. The item can be both a conversation starter and a comforting presence for the child. Get more ideas like these at Sandbox Learning. During the holidays, it's important for kids to get enough sleep to help them stay happy and calm during the excitement of the busy days. Have a quiet time mid-afternoon even if children do not nap. Get cozy in bed and read a book or listen to music to help create a calming, quiet space. In addition to excitement, the holidays can entice both kids and adults with lots of sugary foods. To help kids stay regulated in their behavior, be sure to balance the extra sweet foods with plenty of nourishing, healthy food. Do you have any tips for helping children and families enjoy the most out of the holidays possible? Let us know in the comments! And have a wonderful Thanksgiving!